Boy Wander: I miss traveling! I miss traveling. I haven't done much of it since I left the advertising world. The past year has been focused mostly on making our business grow... though that's a different story altogether. But given new developments, a well-deserved vacation should be in store. I can't wait to get out of the city-- smell some fresh air, get sand on my feet, hear the waves, and get a tan. (Not too dark, though. I'll regret it. Haha!) Anywhere but here, really. My next confirmed confeermed trip is still in January next year. Tagal pa! #Throwback to when we were in El Nido, Palawan. 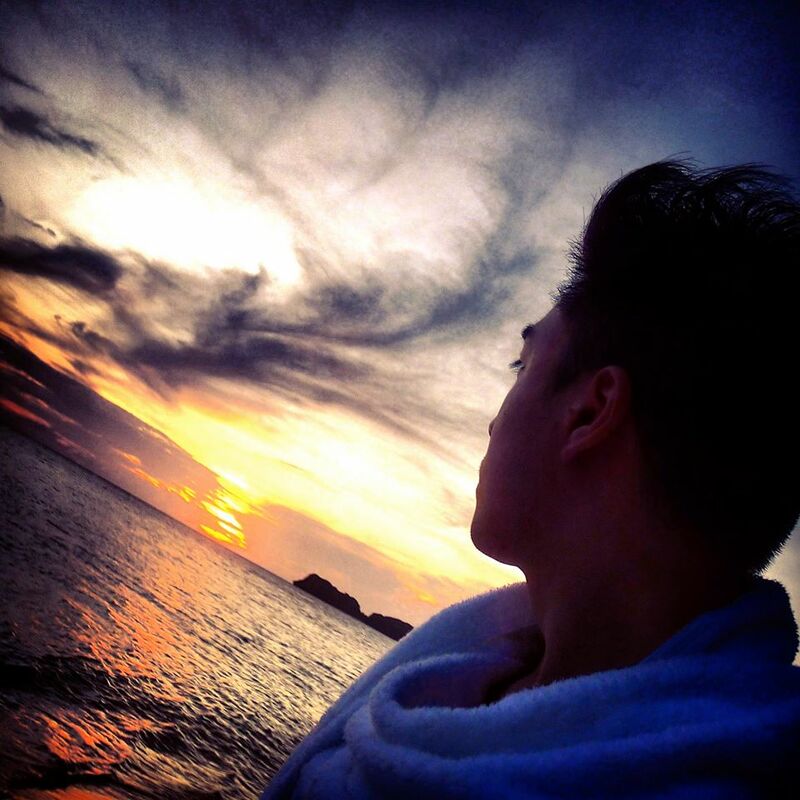 Emoting while watching the sun set.